Home > Blog > How does a Chatbot work? Technical secrets revealed! Chatbots gain popularity among small, medium and large companies mainly as a solution that automates customer service. But that’s not the end of their possibilities. But, in minds of many they still remain a mystery and source of confusion: is chatbot an artificial intelligence? Can it replace interaction with a human being in 100%? Do we have a reason to be afraid of chatbots? What technologies stand behind them? In this article, we reveal the technical aspects of chatbots and explain the process of their creation. Yeah, you can call us mythbusters! Mixed – using both approaches. Some chatbots nowadays operate in a conversational mode and they are the most likely to be able to 100% replace a human being in the future. Even though this will definitely happen sooner or later, the technology is not yet advanced enough to recognize every intention of the interlocutor. To recap, the facts are: in 2018 creating a chatbot, which would be fluent in talking and could answer questions from any field is very difficult. But here comes the question whether we need such chatbots? Aren’t they supposed to do only repetitive activities thus making people life easier? The scenario approach is currently the most often used solution in business chatbots. It is very effective, easy to implement and speeds up the interaction time for both – the company and customers. Following the golden rule of UX: the sooner the user will have his need fulfilled, the better for you. A middle solution is to use both approaches – first try to guess the user's intention (based on key words), and then enter a specific conversation scenario. We use this approach in our own HighSolutions Chatbot. However, you can imagine how people test chatbots and their conversational mode – human creativity has no boundaries. Our chatbot is very concrete and despite 20 scenarios, he cannot answer the question about the weather. 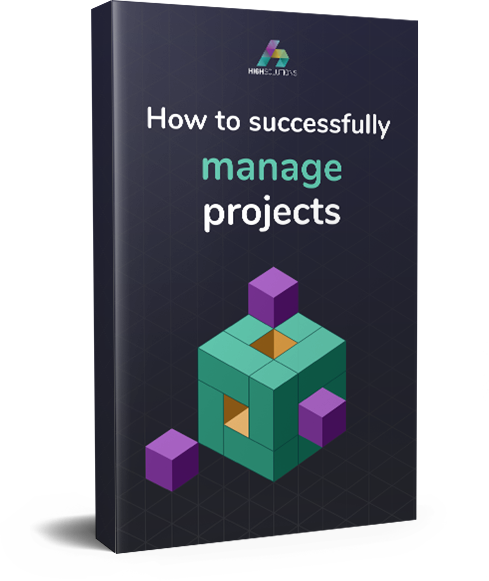 Identifying the needs to automate a certain area of communication with the client. Distribution of possible scenarios, queries and answers – this stage is carried out during the workshop with the client. Programming chatbot according to the designed scenarios. Conversation tests (including corridor tests, scenario analysis). Chatbot integration with Facebook profile (if chatbot is to be implemented on Facebook Messenger; if not then tests are run on the website). Analysis of conversation in order to catch errors and introduce possible improvements. It might sound weird, but it is very important to focus on aspects that are not strictly technical, i.e. 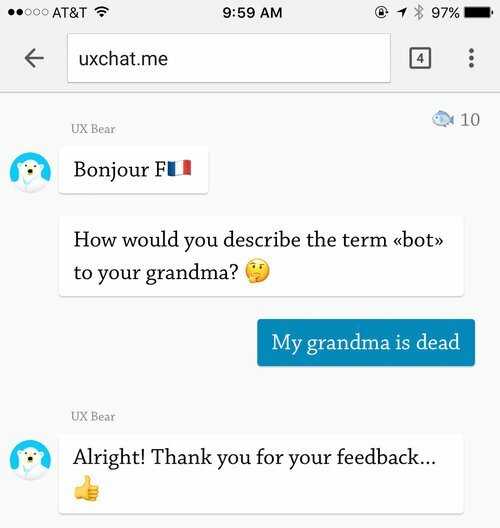 analysis of the need to use a chatbot. These steps may decide whether your chatbot is going to be successful. The next key step are workshops where we create a well-designed communication scheme. It is no exaggeration to say it is the basis for all further work. At HighSolutions, we put very strong emphasis on this stage of the process. 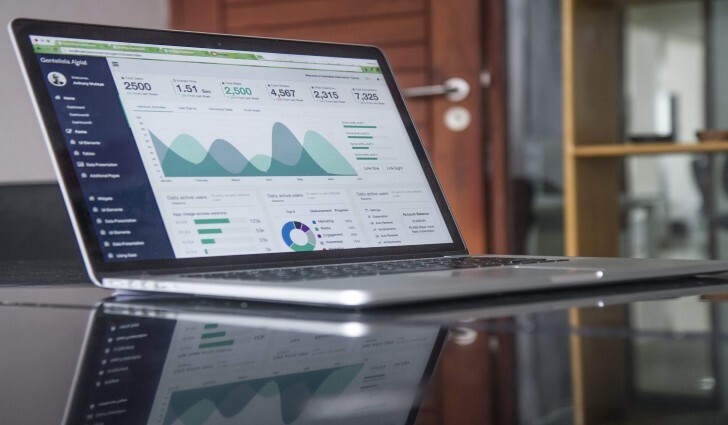 As external consultants, we are able to analyze the client's current communication approach and, thanks to experience, suggest improvements and simplifications. There are two separate opinions about chatbots being artificial intelligence or not. To properly answer this question, we have to define the concept of artificial intelligence, which includes three types of advancement: from ANI (Articial Narrow Intelligence), through AGI (Artificial General Intelligence), up to ASI (Artificial Super Intelligence). 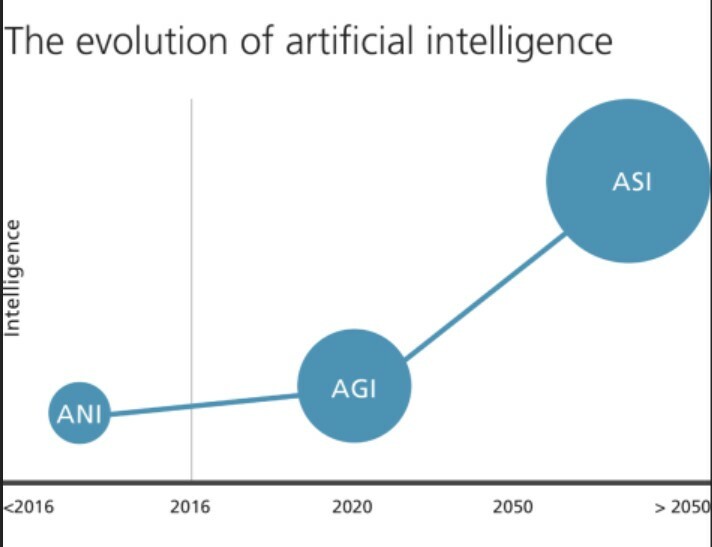 Estimated development of artificial intelligence over time. Source: UBS. Our image of artificial intelligence is mostly based on the vision of AGI (or ASI). However, ANI is also artificial intelligence and an example of it can be even a spam filter. 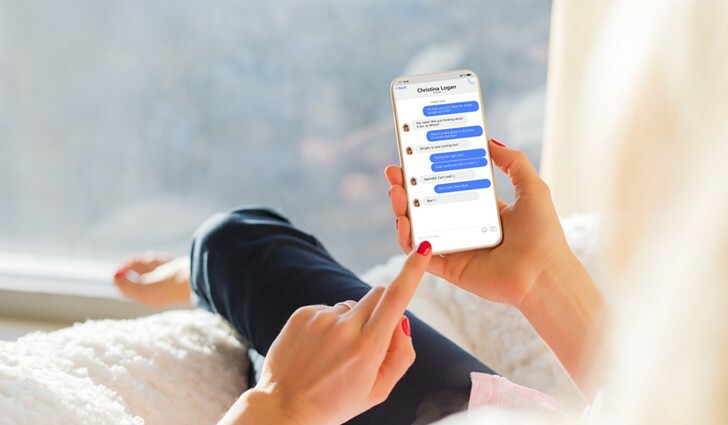 Chatbots can simulate AGI, but they are still typical ANI (a restaurant booking service or an assistant asking questions to prepare an offer). ANI is a very specialized mechanism/algorithm that does one thing so well that it seems to simulate intelligence, i.e. it can learn. An example of this approach are the previously mentioned spam filters or directions search (Google Maps). Chatbots are also in this group – they have to do one thing very well. If they are properly designed – they can also learn from previous conversations. AGI, which is a universal artificial intelligence comparable to human, is not yet available for us – regular people (not sure if it’s available for anyone). And that's what we understand by artificial intelligence most of the time. ASI is a whole new chapter, unreachable at this point. To sum up: are chatbots an artificial intelligence? Yes, but not in the colloquial understanding of this concept. Can you use machine learning to create a chatbot? Yes. But these mechanisms should be already implemented in our system before, and not created specifically for a chatbot. Undoubtedly, machine learning will be used to develop chatbots. Future – will the chatbots be artificial intelligence? Referring to the previous chapter: chatbots already ARE artificial intelligence. Certainly in the next few years, progress in the field of understanding the written word will reach a level, which will make understanding human intentions very simple and it will be used everywhere. With each passing year, the role of virtual assistants, who are de facto chatbots, will also grow. The more we are used to talk to computers, the more the market grows. Instead of replying repetitive emails and queries, we will be able to focus on more creative activities. But let’s start from the beginning. Maybe from a chatbot for your company?